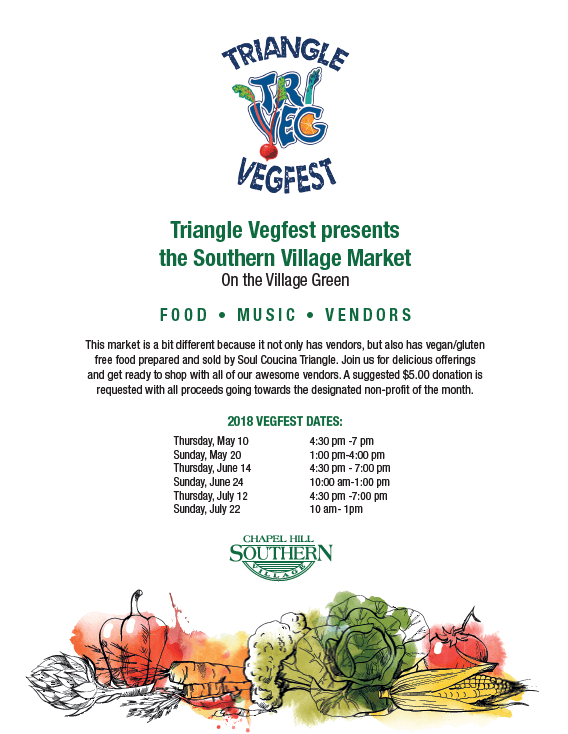 Triangle Vegfest on the Village Green ~ Food, Music & Vendors! — Official site for Southern Village, Events, Dining, Movies and more. Triangle Vegfest on the Village Green ~ Food, Music & Vendors! Sunday Concert on the Village Green with Stan Lewis and Those Rocking Revelers - accepting food donations for TABLE!